The severe Cyclonic Storm “TITLI” in the Bay of Bengal was located near 18.7N, 84.9E, at 2.00 a.m. today (11). The system is located 1200 km away from Trincomalee and it is likely to intensify further, move North-westwards towards Andhra Pradesh and enter the coast of India this morning, Department of Meteorology stated. 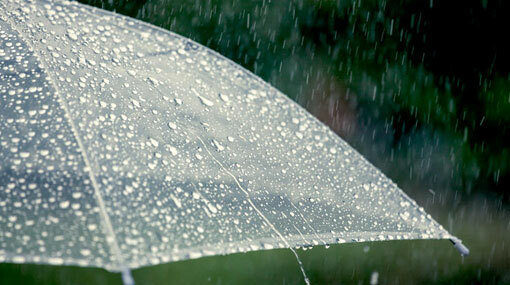 The prevailing showery condition in the south-western part of the island expected to reduce some extend from today. Showers or thundershowers will occur in Central, Southern and Uva provinces and in Kalutara and Ratnapura. Districts and fairly heavy falls of about 75 mm can be expected at some places. Showers or thundershowers will occur several places elsewhere particularly after 2.00p.m. Showers or thundershowers will occur at times in the sea areas extending from Kalutara to Batticaloa via Galle and Hambantota, according to Department of Meteorology. Winds will be South-westerly in direction and wind speed will be 30-40 kmph in the sea areas around the island. The sea areas extending from Galle to Pottuvil via Hambantota can be fairly rough at times as the wind speed can increase up to 50 kmph at times.